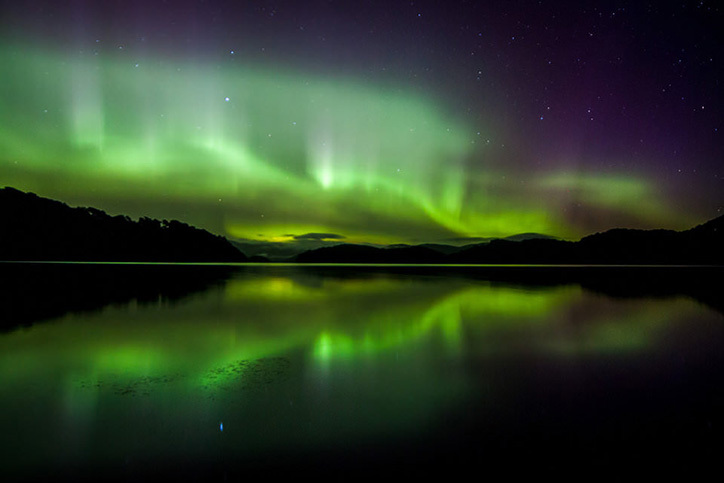 You’ve Heard About the Northern Lights, What About Seeing the Southern Lights? You’ve probably heard of the Aurora Borealis – the Northern Lights, but what about their Southern counterpart, the Southern Lights? Never heard of them? No problem! 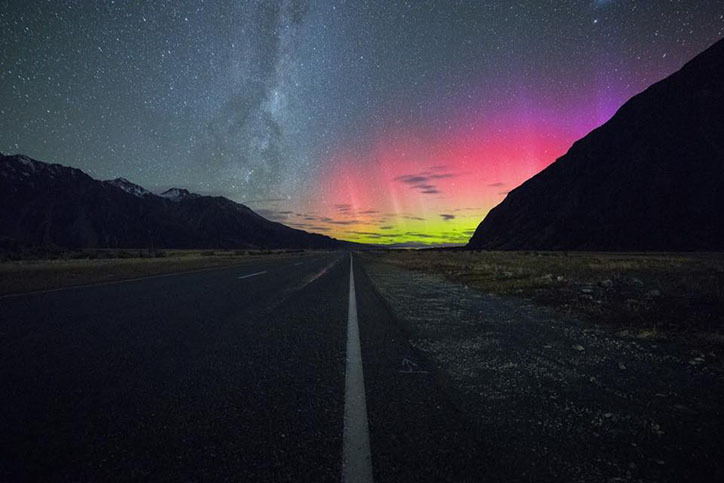 Read on for all the information you need on how, when, and where to see the Aurora Australis on your New Zealand holiday. 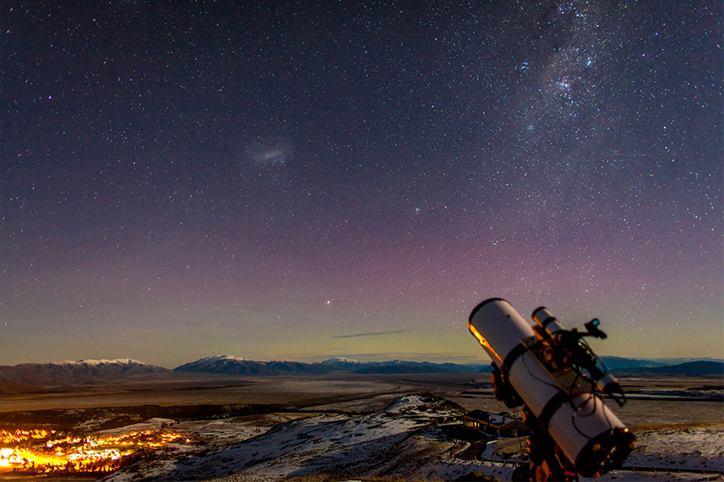 This is one lightshow you won’t want to miss, and in the Dark Sky Preserve in the South Island, you’ll get some of the best seats in the world! Like their Northern relatives, the Southern Lights are an Aurora – a naturally occurring light display in the sky, caused by solar winds reacting with natural gases. But… what does that look like? Imagine the most amazing, vibrant streaks of colour lighting up the night sky – bright greens, pinks and yellows! They’re most visible when the sky is darkest, around midnight usually – although they can appear at any time in the night, given the right weather conditions. What are the right weather conditions, you ask? You need clear skies combined with high solar activity. You can use this website to track Aurora activity and improve your chances of being there when they appear! Where is Best to See Them? 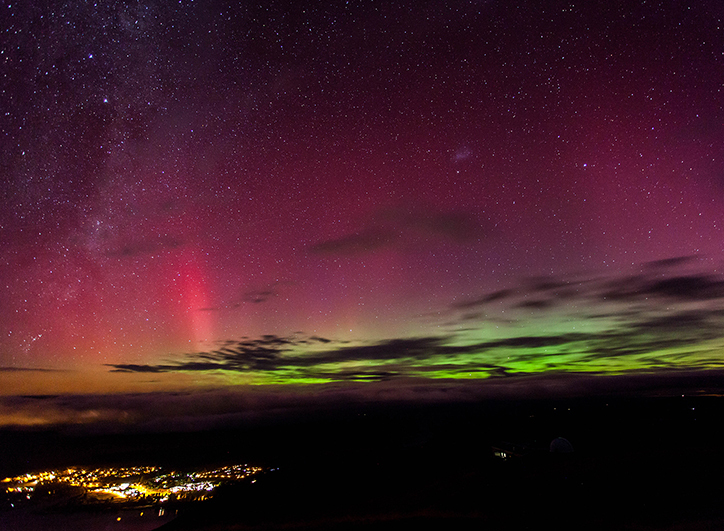 The Southern Lights are more difficult to track down than the Northern Lights, but luckily New Zealand has multiple locations where you can get an amazing view of the show… the best spots are all in the South Island, although sightings have been reported as far North as Wellington and Auckland on rare occasion. Here are the best places to get a glimpse – don’t forget to bring a camera! There’s nowhere better in New Zealand to see the Southern Lights than the tiny town of Tekapo – in fact to get a clearer view, you’d need to go to Antarctica! 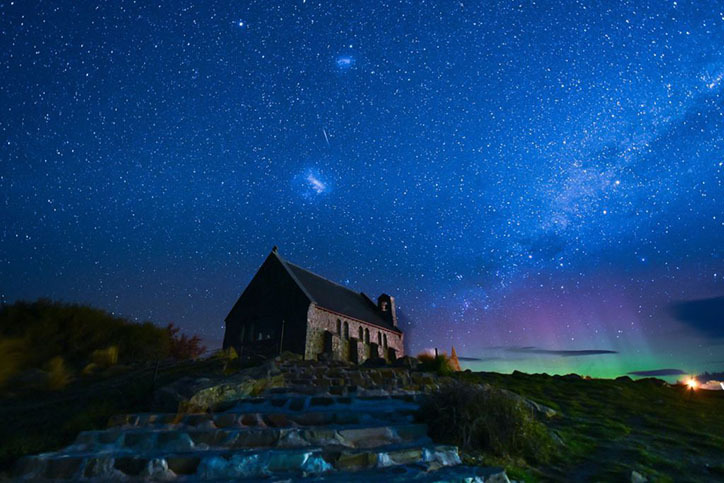 Tekapo sits inside one of only a few official Dark Sky Preserves worldwide… meaning the area is designated as a clear sky spot where steps are taken to reduce light pollution and promote stargazing. Go for a tour at Mount John Observatory to get the most authentic stargazer experience. Where better to see the sky than from New Zealand’s highest peak? Like Tekapo, Aoraki/Mt Cook is in the Dark Sky Preserve, and you don’t need to be a mountain climber to get there – the village at the base of the mountain is small but offers comfortable accommodation, as well as activities all year round that make it a favourite spot for visitors. Home to New Zealand’s southernmost point – Slope Point, The Catlins region is a jewel in the deep south. Crystal clear skies all year round make this an ideal spot for stargazing, but you’ll also fall in love with the natural rainforest and rare birds that are native to the area. The most famous and one of the largest of New Zealand’s coastal islands, Stewart Islands is a nature lover’s haven. In Māori, the name of the island – Rakiura means ‘the land of glowing skies’… thanks to the Aurora Australis! Experience the Southern Lights, let Relaxing Journeys help you get there.